We understand the immense amount of preparation required to make your wedding day what you have always dreamed of. We want to make the transportation portion of your wedding day seamless as you ride in luxury into your future. 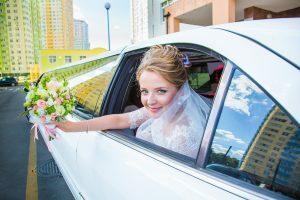 We’re aware that a lot of work goes into planning your wedding and we’re happy to help with the right limousine for your Columbus wedding as well as help you with planning the entire event. Get a Columbus stretch limousine package built to suit your needs and get the best wedding limousine services that we have to offer.